There’s some fun, and some intrigue in this week’s installment of our favourite Hawaiian based private investigator! First up is The Treasure of Kalaniopu’u, which aired 11 November, 1985, and was written by Reuben Leder. 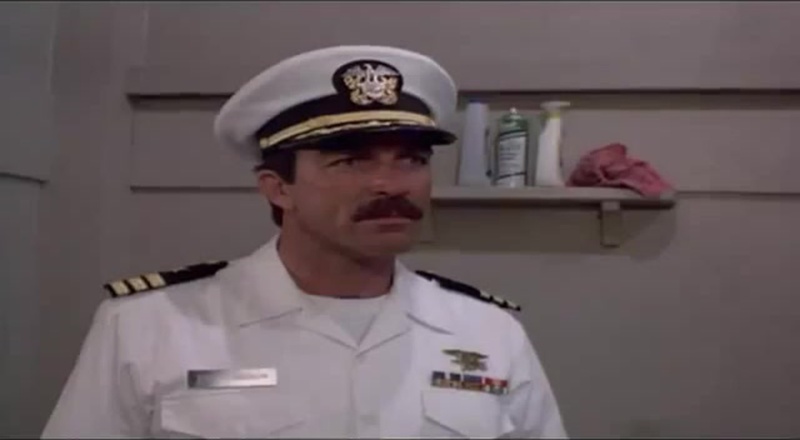 Thomas (Tom Selleck) is pulled in to serve as security and protection for Amy Griswald (Nancy Stafford) who is overseeing a treasure hunt created by Robin Master’s publishers to promote his new pirate adventure novel. It seems that somewhere on Oahu, there is a treasure chest filled with one million dollars, and everyone wants a chance to find it. Amy knows all the clues, and consequently, may be a target for people who want to skip the hunt and get right to the treasure. Amy proves difficult to work with, as she has a low opinion of the contest, and if possible, a lower one of Thomas. Everyone turns out for the hunt, Rick (Larry Manetti), T.C. (Roger E. Mosley), Tanaka (Kwan Hi Lim), Carol (Kathleen Lloyd), Doc Ibold (Glenn Cannon)… they all want a shot at the treasure! But with that much money in play, something is going to go wrong soon, and Thomas finds himself in a race to solve the clues and recover the money before things turn deadly! 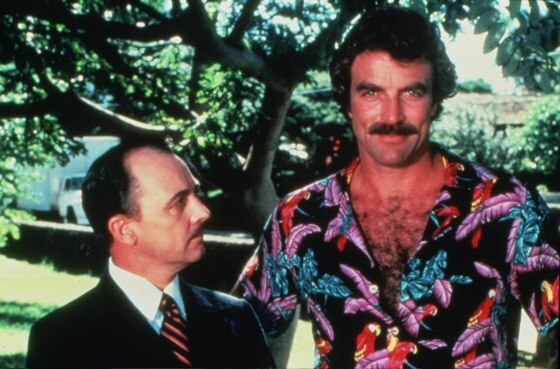 This was just a fun, and enjoyable episode, and it was a delight to see Thomas and Higgins (John Hillerman) just give into the whole thing by episode’s end. It had a sense of humor and play about it, and had lots of laughs. So much fun! Blood and Honor by Phil Combest, which aired 5 December, 1985 put Thomas in a bit of an 80s spy thriller, as well as in his Navy whites. Admiral Hawkes (Paul Burke) re-enlists Magnum, who is more concerned at the moment with winning the Annual Hospital Bed Race he, T.C., Rick and a nameless King Kamehameha employee are in, representing the club. He is persuaded to join the investigation however, when he learns there is a security breach regarding a top-secret sub. Unfortunately for the viewer, the list of potential suspects is pretty short, seeing as the guest cast isn’t huge, in fact, it comes down pretty quickly to being either the Admiral’s son, Lt. Andy Hawkes (Jeff Yagher) and his fiancée, Alex (Simone Griffeth). When Thomas ends up getting to close to the truth, he’s set up, and framed to look like the spy, and the Navy actually convenes a court-martial against him. Which doesn’t make a lot of sense, because wasn’t the leak already in play, which is why Thomas was brought in? The final chase, sees Thomas hunting down the leak in the midst of the hospital bed race, and neither Rick nor T.C. can believe their friend is in uniform again. But he happily rejoins them, after the bad guy is caught, and American secrets are saved!